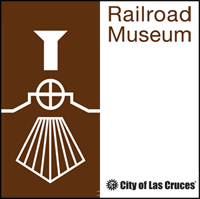 The Las Cruces Railroad Museum will show the documentary film The Harvey Girls – Opportunity Bound on Saturday, March 1, at 10:00 am and again at 2:00 pm. Between 1880 and 1960, over 100,000 young women left their homes, mostly in the eastern United States, to travel west and become Harvey Girls. This was a time when few employment opportunities were available to women. These women paved the way for future generations of women in the workplace. Fred Harvey was one of the first American companies to promote cultural diversity, and was the forerunner of chain restaurants and hotels. Included in the documentary are interviews with many Harvey Girls as well as with Stephen Fried (author of Appetite for America) and Maureen McMillan (director emeritus Belen Harvey House). This video, which lasts 57 minutes, is suitable for all audiences. For more information, please call Joanne at 647-4480. The museum is located at 351 N. Mesilla Street, at the intersection of Las Cruces Ave.